Recently i purchased a Canon EOS M50 Mirrorless Camera Kit w/EF-M15-45mm Len. i'm a beginner in photography. kindly advise me to find a proper filter for my lens. 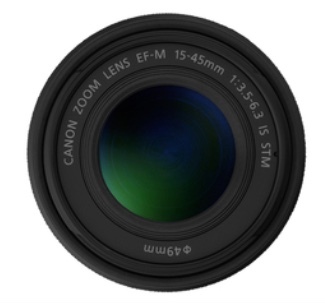 how can calculate or find the filter size for each different lens and what is the "must have" filter rings for my Canon EOS M50. See that number at the bottom (top if you're standing on your head)? That's the filter size you need. I'm a sucker for protection filters with hardened glass, but this lens is probably too cheap to justify the cost. Plus, they don't change the image (if best). I think a C-polarizer filter will give you the most fun, in sunny daylight conditions. Not the answer you're looking for? Browse other questions tagged canon filters or ask your own question. How do I find the right size of filters for a lens? How do you handle the varying sizes of filters in your kit? What are the must-have filters for a new photographer? Canon kit with standard EF-S 18-55mm IS or 18-135mm IS? Which filters should I be buying for Canon EOS 550 D, 18-55mm and 55-250mm lenses? Is it better to upgrade Canon 18-55mm IS kit lens to the 18-200mm, or complement with 55-250mm? Canon 550d Kit Lens or not? What's the difference between Canon EOS battery packs? Do I need a slim or normal polarized filter for a wide angle lens? Should I replace the Canon 18-55mm f/3.5-5.6 kit lens with a 40mm f/2.8 or 50mm f/1.4? EF-S 55-250mm f4-5.6 IS II or Tamron AF 70-300mm f/4-5.6 Di LD Macro as part of a kit?